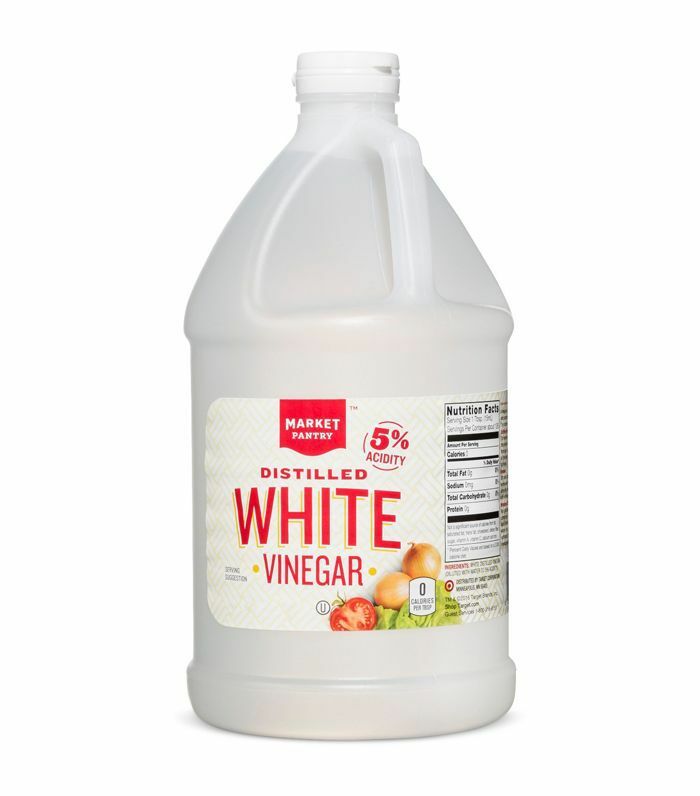 Whether you stash it in the kitchen pantry, laundry room, or medicine cabinet, white vinegar is a kind of miracle substance with a plethora of uses. 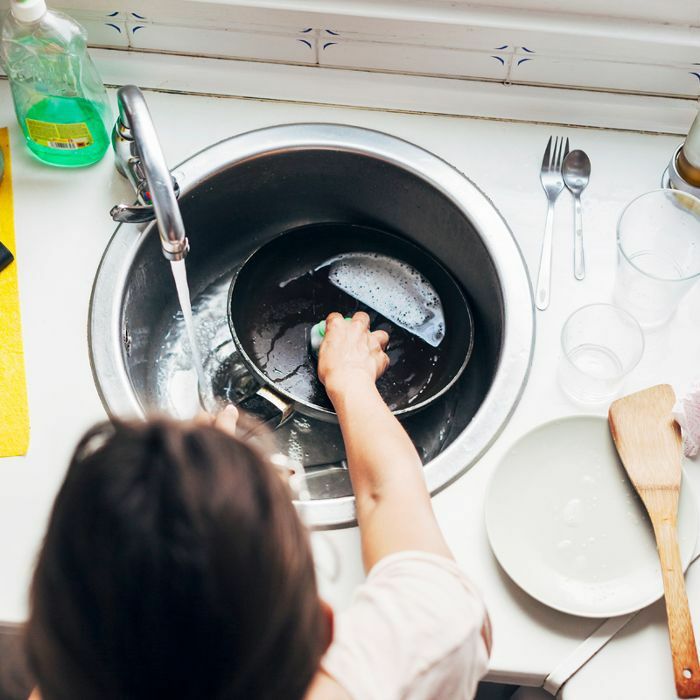 Vinegar, which was originally derived from wine that had gone bad (further proof that wine is the best), has become a must-have ingredient in any household. From stain removal to pet care, the uses for vinegar are well worth knowing. Here are just a few of our favorite methods. For an eco-friendly solution to stain removal, spray a touch of white vinegar onto the stain in question (be it wine or grass stains), and then launder as usual. Soaking white basics in vinegar can also help restore brightness. To create an environmentally friendly all-purpose cleaner, dilute white vinegar with pure water and fill a spray bottle. This solution can be used to wipe down countertops, clean tile and grout, polish windows, scrub carpets, and more. The only major exception is stone surfaces, which can be damaged by the acid content of vinegar. For DIY gardeners, one of the best uses for vinegar is to kill off unwanted weeds. Rub a bit of vinegar directly onto the leaves and stems of the weeds—just be careful to avoid any plants you don’t want to harm. There’s no excuse not to have a set of coasters on hand, but in the event that you experienced a lapse in coffee table etiquette, don’t worry—vinegar is here to help. Combine equal parts vinegar and olive oil, and then use a soft cloth to gently polish the wood in the direction of the grain. Getting sprayed by a skunk is one of the least pleasant tribulations your pet (or you) can undergo. While some home remedies call for using ketchup or other foods, a bath of diluted white vinegar removes the scent and is easier to wash off. Remember that ultra-cool volcano science experiment from grade school? Good news: it also has an application for your adult life. Funnel half a cup of baking soda into your drain, and then follow it up with a cup of vinegar. The liquid acts as an effective alternative to harsh chemical drain cleaners. Needless to say, we’re fans of clever DIY cleaning hacks, and using vinegar to polish silver is at the top of our list. Bring a solution of one part vinegar and four parts water to a boil, and then let your silver soak in it for about five minutes. Remove the silver, rinse it, and then buff with a clean cloth. To extend the life of a bouquet of flowers, start by trimming the ends of the stems. Then, add two to three tablespoons of white vinegar and a few dashes of sugar to the water in the vase. This little-known use of vinegar will help keep flowers looking fresh for days on end. Up next, read on for six little-known uses for honey.